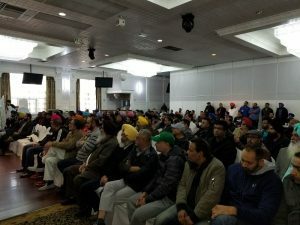 A United Truckers Association (UTA) meeting announcing new labour mobility for Independent Operator (IO) truck owners resulted in the organization’s largest meeting of the year. 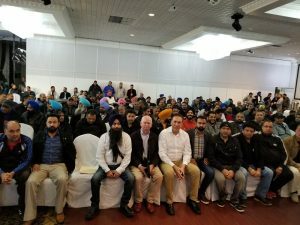 Presentations by government MLAs and government MPs also demonstrated the strong working relationships that have been established between the UTA and elected officials, the UTA noted on Saturday. After years of being locked into regulations that treated IOs as a modern form of indentured labourers, container truck owners finally have the ability to seek out new clients like any other small business in British Columbia. 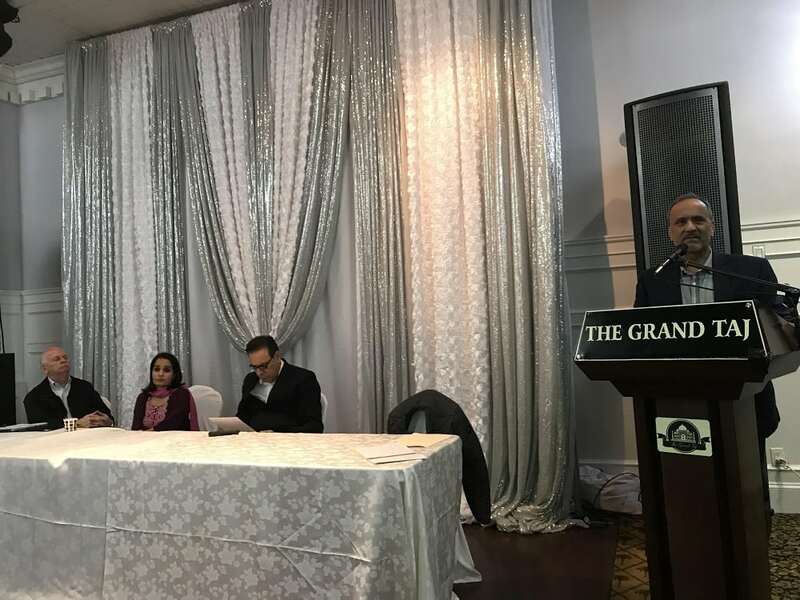 Liberal MPs Randeep Sarai and Sukh Dhaliwal on the left. This new policy recently announced by the Office of the BC Container Trucking Commissioner is a direct result of the UTA’s consultations with the NDP government, according to Gagan Singh, spokesperson for the UTA. 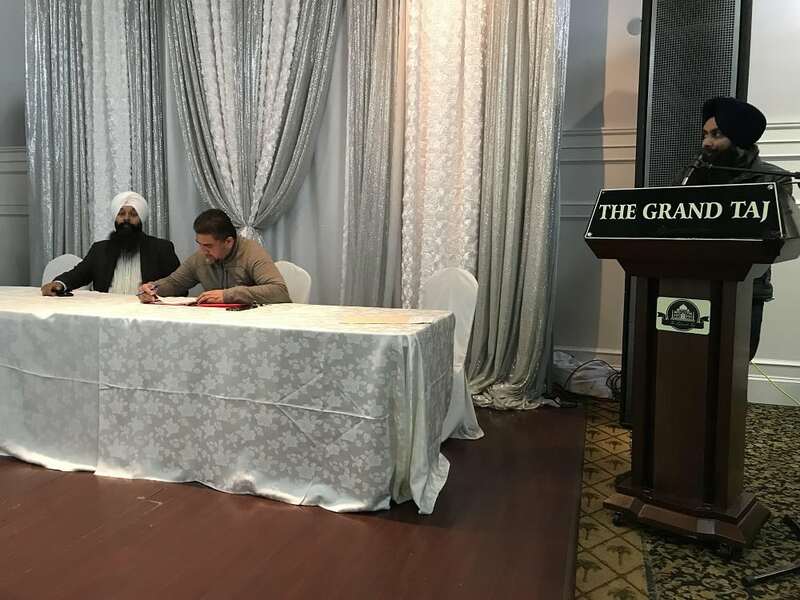 (L-R) NDP MLAs Garry Begg, Rachna Singh and Jagrup Brar, and Labour Minister Harry Bains. 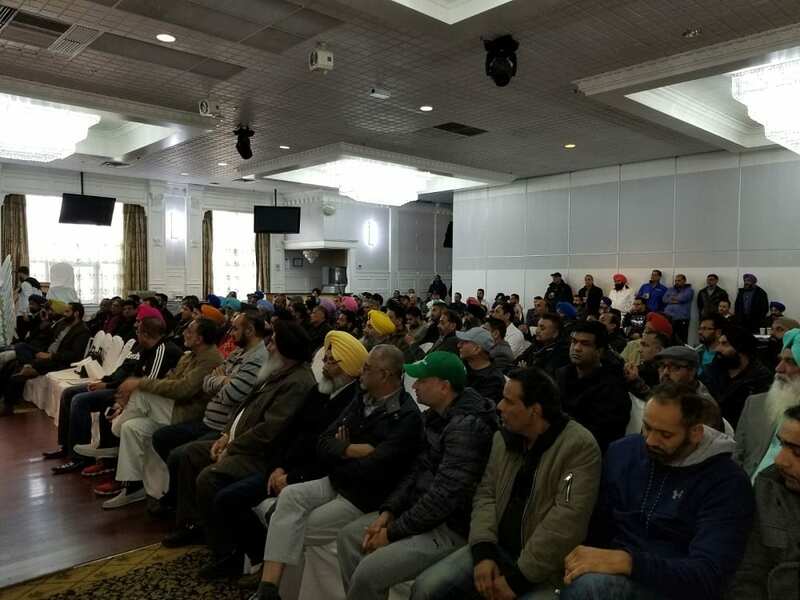 He said while there are a number of issues that are still outstanding, including continued illegal pay rates by licence holders and a lack of effective enforcement, the UTA has made major progress with both levels of government in terms of producing results for its membership. Depending on the level of commitment from members, the UTA is contemplating expanding its operations and access in 2018. More details of the UTA’s plans will be announced by the end of January 2018. * Awarding truck tags to licence holders while completely ignoring the pledge in the new CTS Licence Tag Management Policy to withdraw tags that are not being used to full capacity. (Note: The overall total of tags has increased over the past four years in spite of recommendations to severely reduce the number of trucks in the system). * Not enforcing severe penalties or licence cancellations for companies continuing to break the law by paying lower rates than is legislated. * Unfair truck-age regulations currently being imposed on Independent Operators (“IOs”). * Harassment by Port of Vancouver officials unfairly targeting IOs for unnecessary inspections that are costing UTA members hundreds of dollars in each instance.